Have you noticed that Cacti are everywhere? Ok, yes I know as a plant they are, and have been for a while - everywhere. However, when it comes to fashion they've recently taken up a bit of a permanent residence in people's minds in everything from prints in dresses to home decor. A cactus doesn't have to rule your wardrobe, it's more about subtle touches. 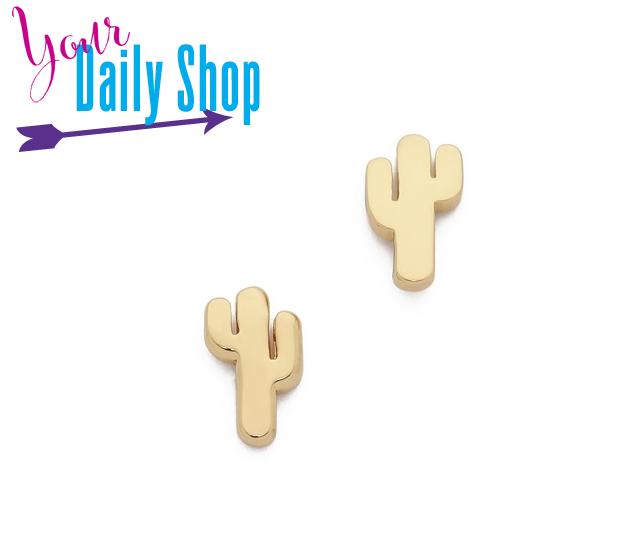 Take these Cactus Earrings (£25.30 / $35), for example. They are a little accessory that pack a big trendy punch for an everyday wardrobe. Just saying!